2 additional battens increase strength. Straight cut boards are more contemporary. 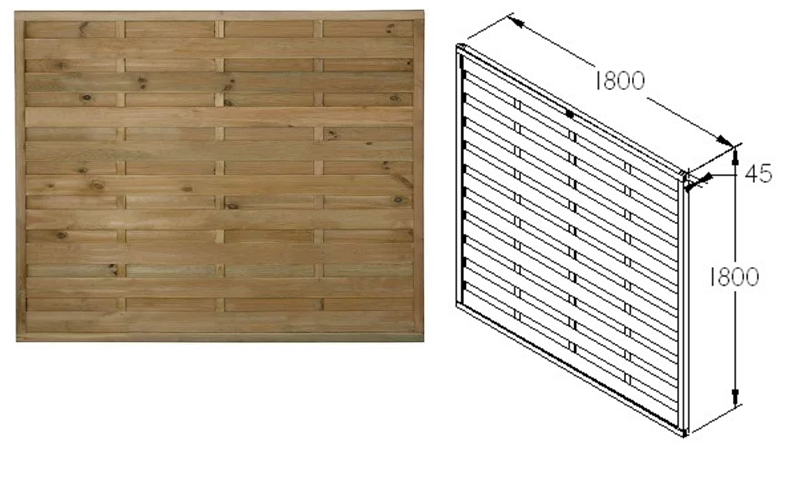 Shorter distance between battens reduces ‘gapping’. 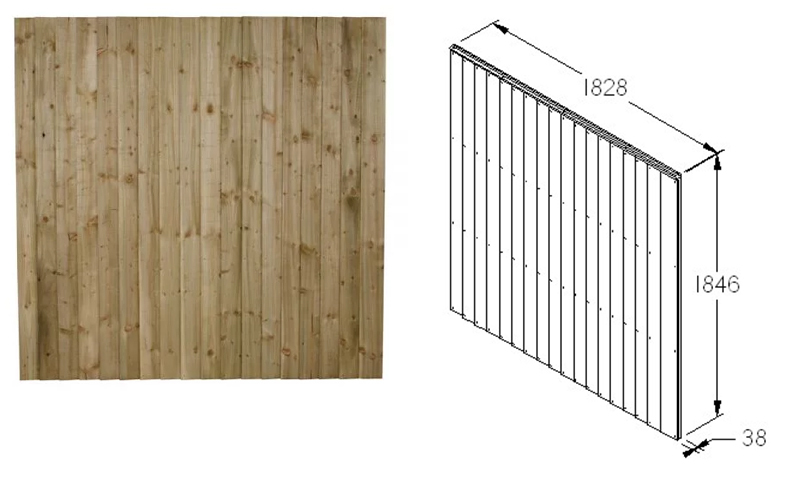 10mm thick boards (tapering to 6mm), secured to a thick-section (45x28mm) perimeter frame. 8mm thick non-tapered boards, secured to a thick-section (45x28mm) perimeter frame. 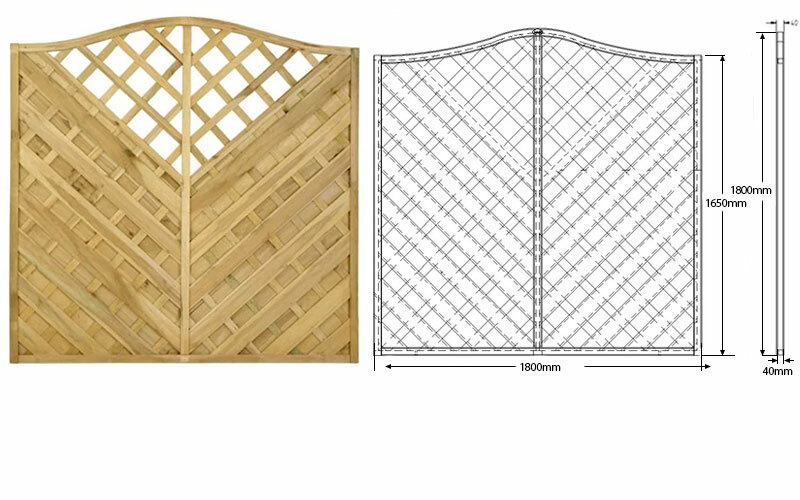 Reinforced with 2 thick-section central battens. 13mm thick boards (tapering to 6mm), secured to three 75mm deep boards across the back. 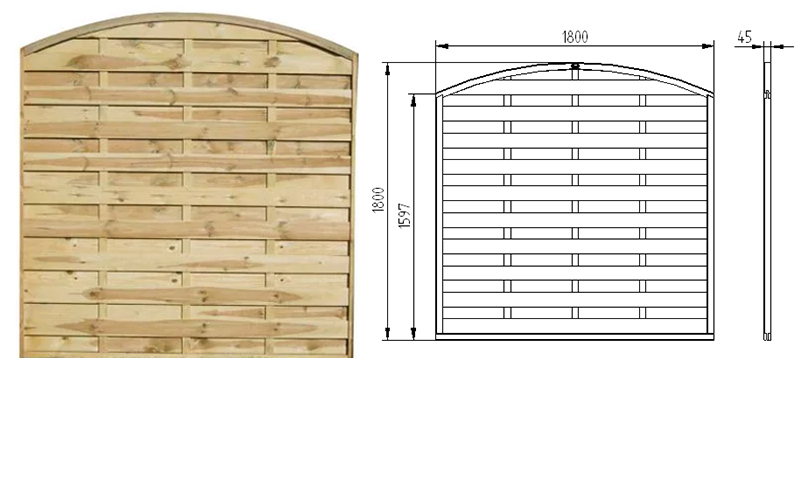 Like the Pressure Treated Featheredge Panel but with 75mm deep braces and Dome Top. 8mm thick non-tapered boards sandwiched in a perimeter frame. Reinforced with 3 central battens. 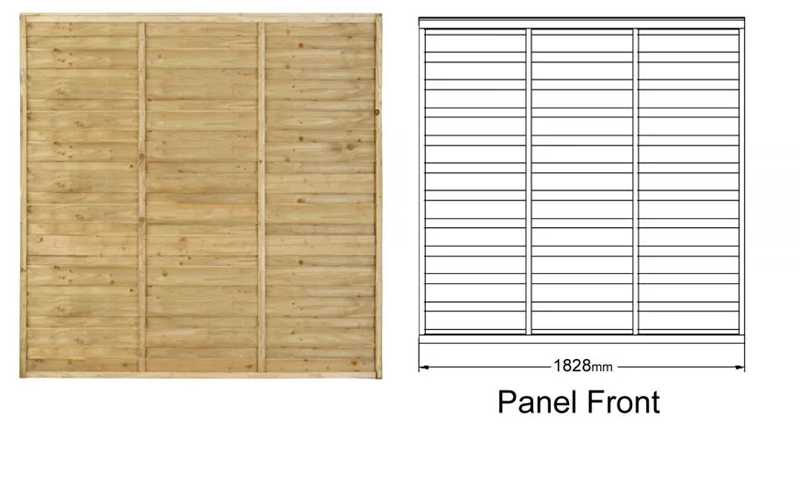 An alternative to the Featheredge panel. Difference is non-tapered boards. 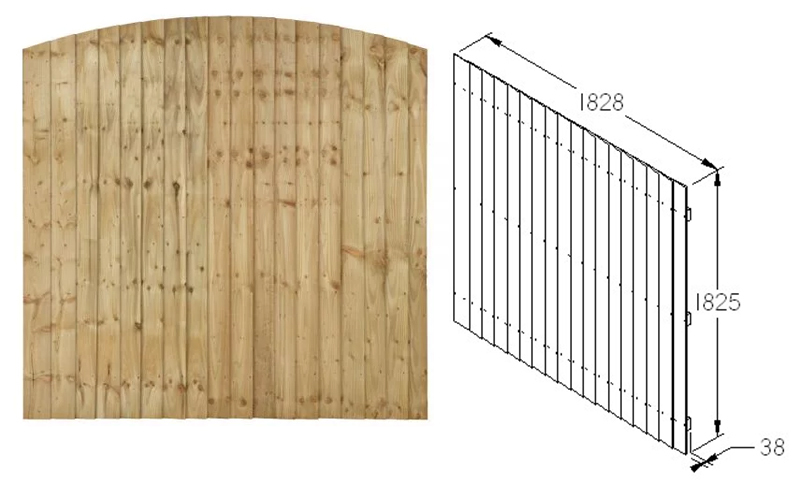 Similar weight and strength to Featheredge. 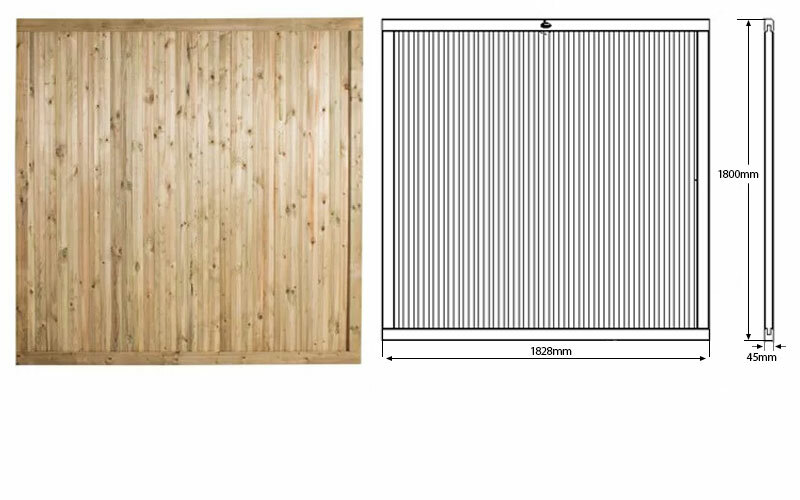 Heavier duty version of Featheredge with thicker boards for maximum strength. One of Forest’s strongest panels. Natural timber colour to finish. 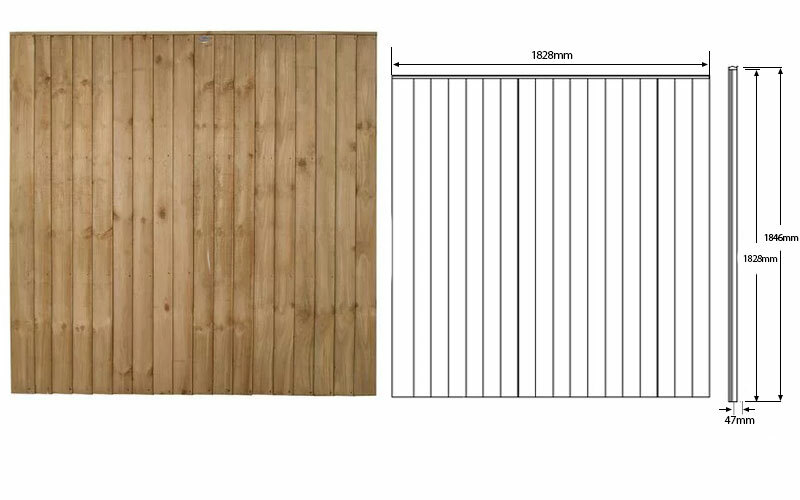 13mm thick boards (tapering to 6mm), secured to a thick-section (4x28mm) perimeter frame. 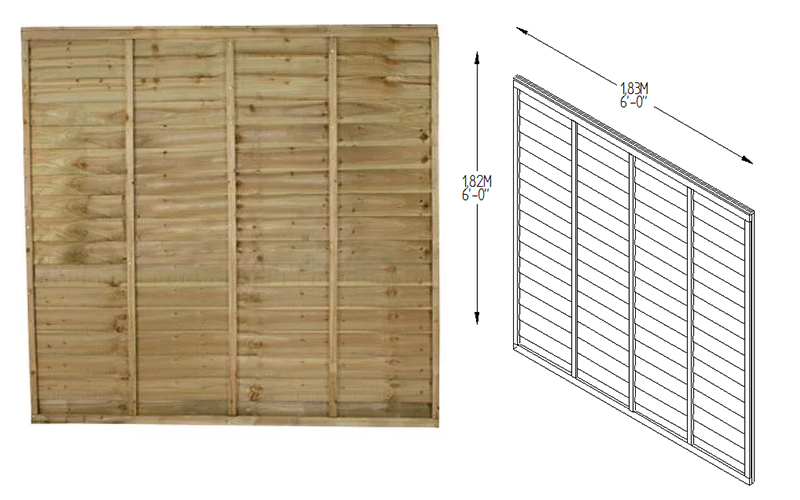 Like the Pressure Treated Featheredge but instead of perimeter frame, uses three horizontal braces. 13mm thick 100 boards (tapering to 6mm). secured to three 100mm deep boards across the back. Brown pressure treated finish as an alternative colour choice. 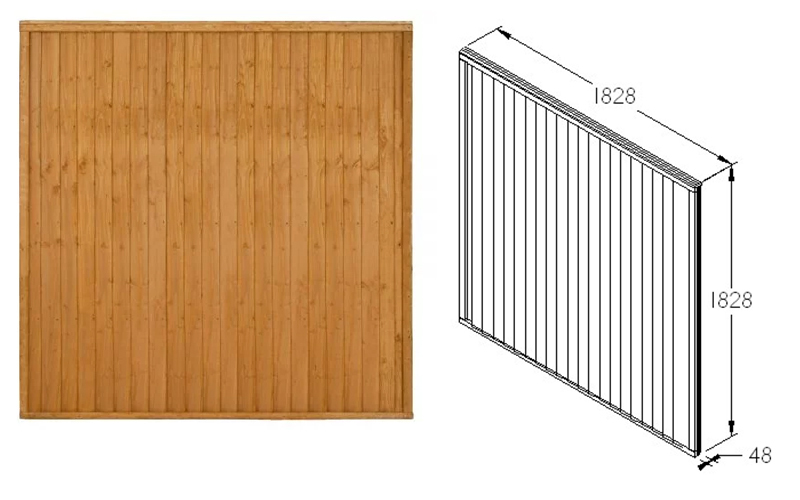 Without being too bulky and cumbersome the featheredge panel design remains secure and long-lasting, with overlapping boards to form a sturdy panel. 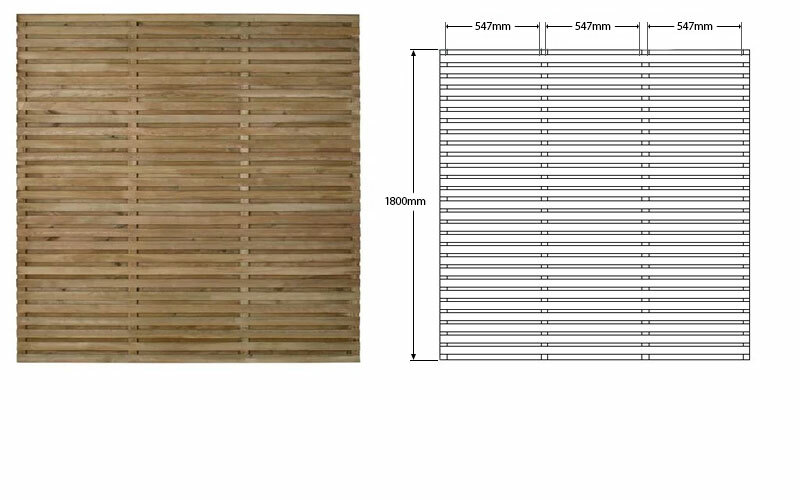 Rough sawn 8mm thick boards sandwiched in a perimeter frame with 4 battens on each side. 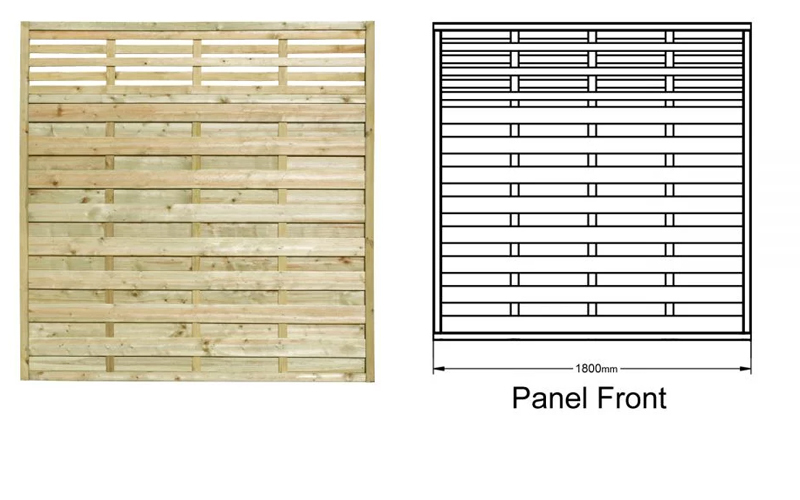 A decorative alternative to conventional UK trade panels. 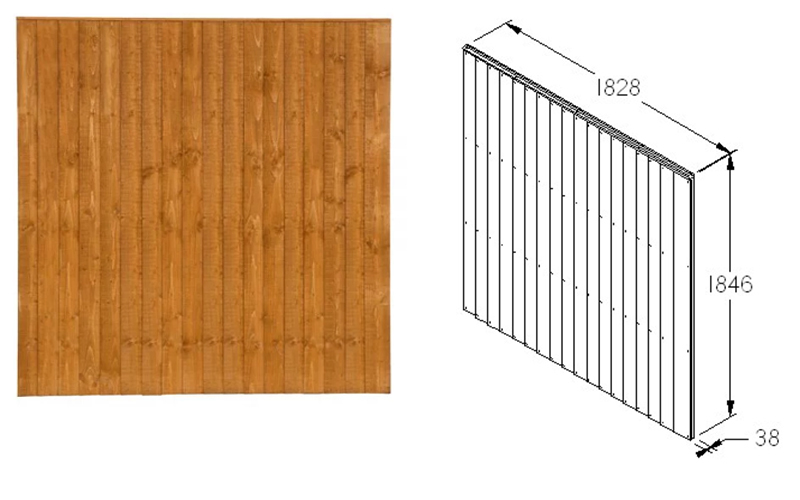 Stronger hit and miss construction, great as a functional fence panel for property division. Perfect for exposed areas as wind will go through the panel. 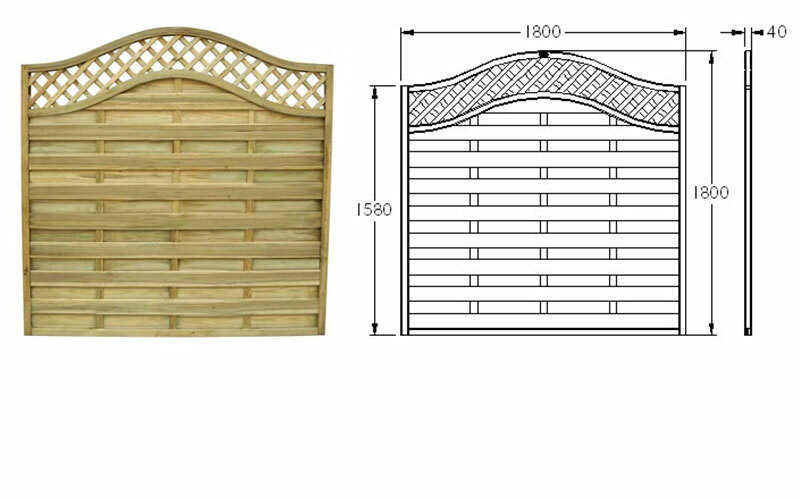 Decorative panel design with boards mounted on alternative sides of central Battens. 8mm thick smooth-planed boards are mounted in a rebated frame. Smooth planed frame with mortise and tennon joints. 8mm thick smooth-planed boards are mounted in a rebated frame. Smooth- planed frame with mortise and tennon joints. 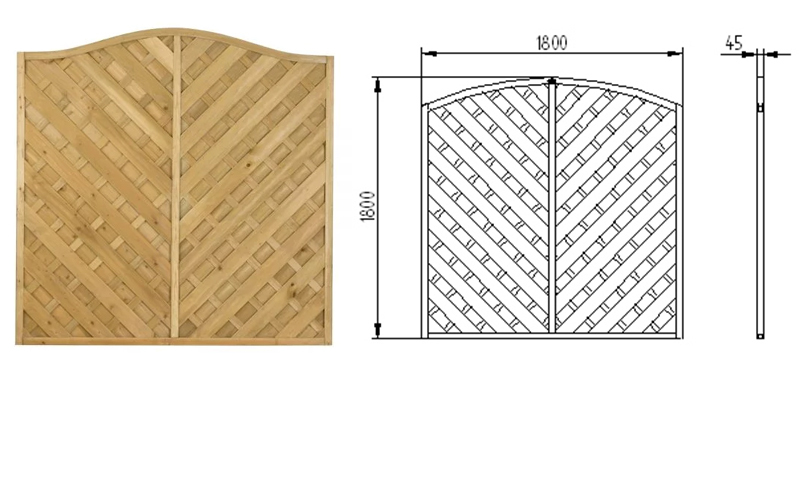 Decorative panel design with boards mounted alternative sides of central battens. Finished with a wave shaped trellis top section. Finished with a trellis top section. Smooth-planed frame with mortise and tennon joints. 8mm thick smooth-planed boards are mounted in a rebated frame. Smooth planed frame with mortise and tennon joints. Finished with a slatted top section. 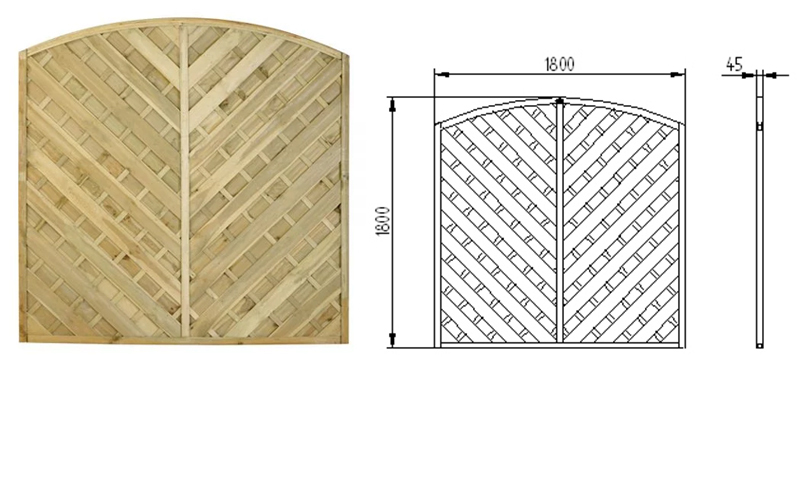 Decorative panel design with boards mounted in a chevron pattern. 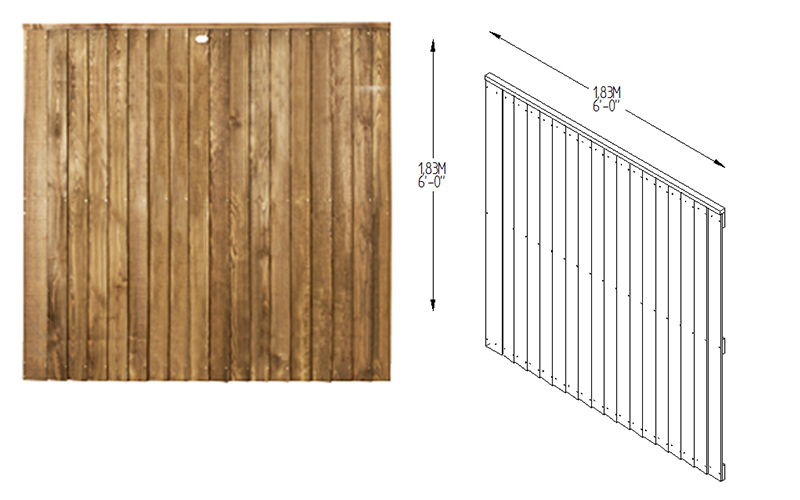 It is fixed with weather resistant galvanized screws that protect your decorative fence panel against rot. 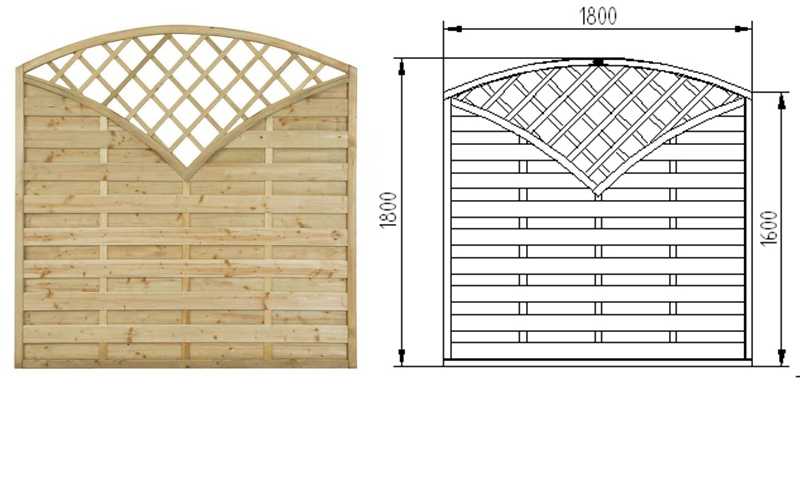 The Versailles 1.8m (6ft) decorative fence panel is similar to the Devonshire Panel yet with an attractive curved top and chevron trellis. Finished with a fan trellis top section. Substantial 8mm thick slatts laid alternatively across the back and front of four battens. 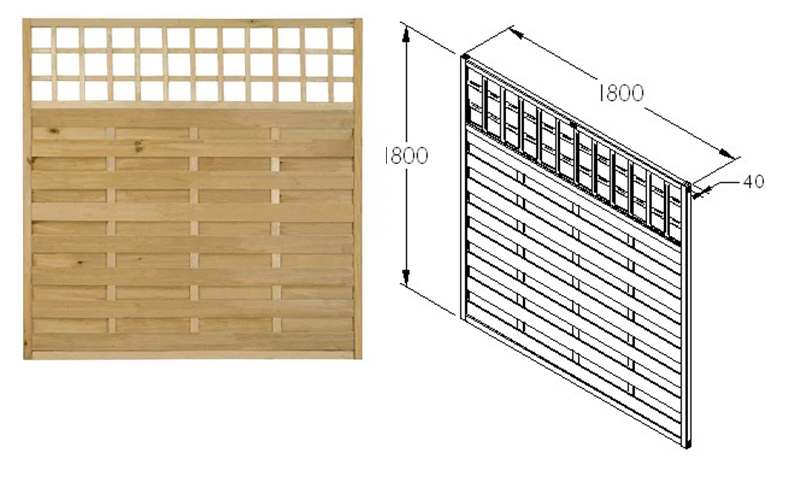 With slats both sides this is a substantial panel that offers a good level of security and privacy as well as looking great in a contemporary fashion. Thick 12mm boards housed in a 45mm thick, rebated frame with mortise and tennon joints. 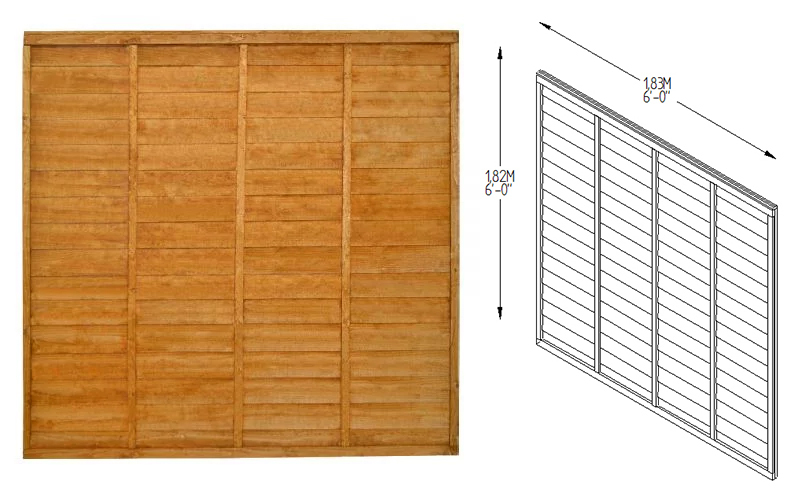 Made with high quality, thick section interlocking tongue & groove boards locked in a strong perimeter frame, this panel delivers acoustic performance, strength, security and privacy in an attractive package.